Referred to as OPTION “R8C” and available through me at Criswell Chevrolet when specified during ordering, R8C customers are welcomed with signs and a guided V.I.P. tour of the Museum where their new Corvette is displayed, followed by an orientation and presentation of their new 2019 Corvette. The customer receives a one-year individual membership to the NCM, a unique gold decal on the inside of the driver’s door jamb, and a commemorative wall plaque (with the customer’s name, date of delivery and VIN) is ordered. Place your phone call to my desk direct line 301 212 4420 or email [email protected] and let me explain how seamless the whole process is. You will never have to step foot inside the dealership. I deal in high volume not high profit. 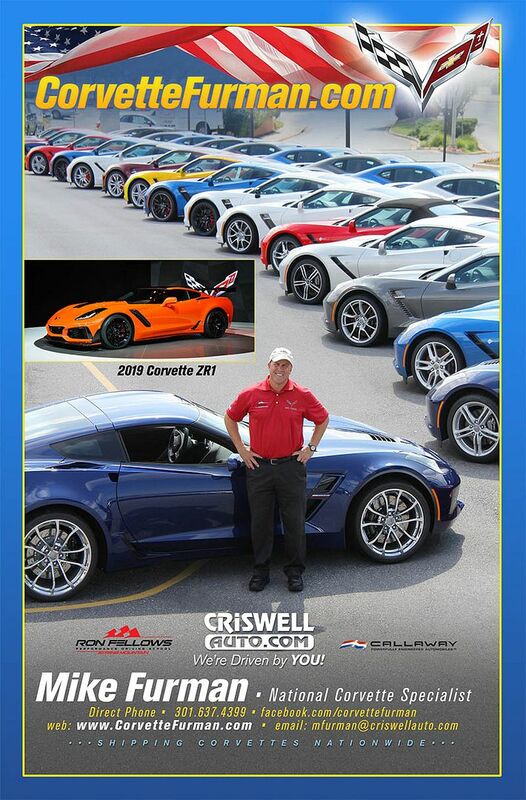 I am now in my 40th year selling Corvettes and this Spring will deliver my 4,000th Corvette! "Be kinder than necessary, for everyone you meet is fighting some kind of battle"
Last edited by Mike [email protected]; 01-16-2018 at 12:56 PM.